There's a new academic game show in town and Rhode Island Classroom takes a first look during its new episode on Monday, March 26 at 7:30 p.m.
Rhode Island Classroom cameras go behind-the-scenes of the brand new Rhode Island PBS production of High School Quiz Show: Rhode Island® in advance of the show's premiere on March 31 at 6 p.m. Meet the debonair host John O’Hurley (Family Feud, Seinfeld) and show producer John Smith. 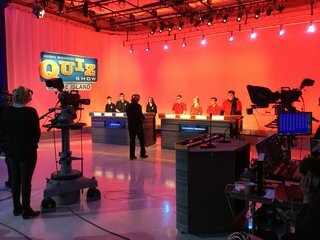 Viewers will see video and photos of the competing teams on the set, and learn how the show came to be here at Rhode Island PBS. 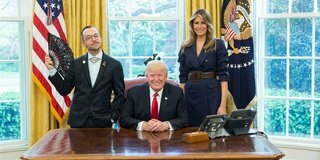 In another segment, Rhode Island Classroom visits with the Teacher of the Year Niko Giannopoulos, whose photo with President Donald Trump went viral on social media. But just what does it mean to be "Teacher of the Year"? What does it entail, and how and when is the honoree chosen? 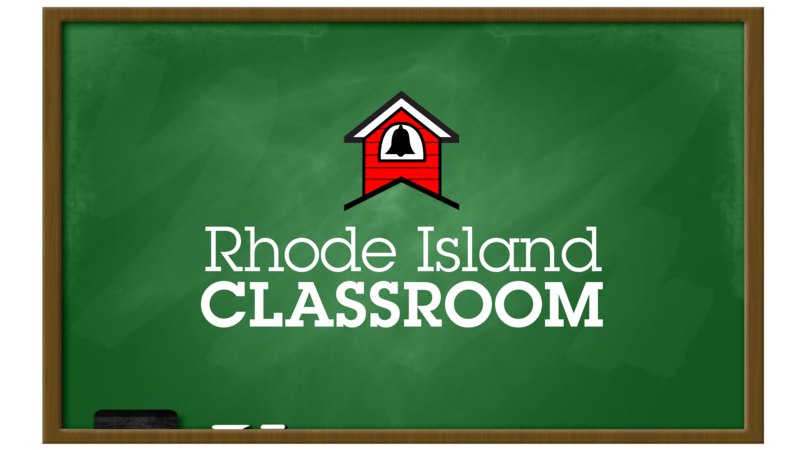 Rhode Island Classroom asks the current and immediate past Teachers of the Year, as well as the commisioner of education. In the third segment, Rhode Island Classroom explores recess in elementary schools. Rhode Island passed a law in 2016 mandating 20 minutes of recess in every elementary school. Some schools are taking recess to a new, 21st century level, making it part of the social-emotional learning in their schools. Playworks New England is a non-profit organization that helps schools to transform recess from a free-for-all into a safe, healthy, active place. This episode has more in store, too. Tune in on Monday, March 26 at 7:30 p.m. for the full curriculum.